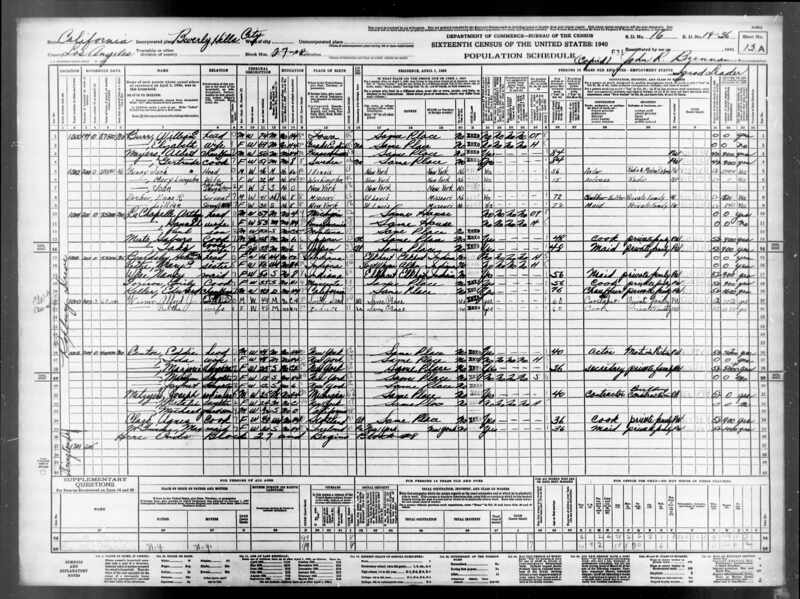 The US Archives has digitized the entirety of the 1940 Census of the United States. 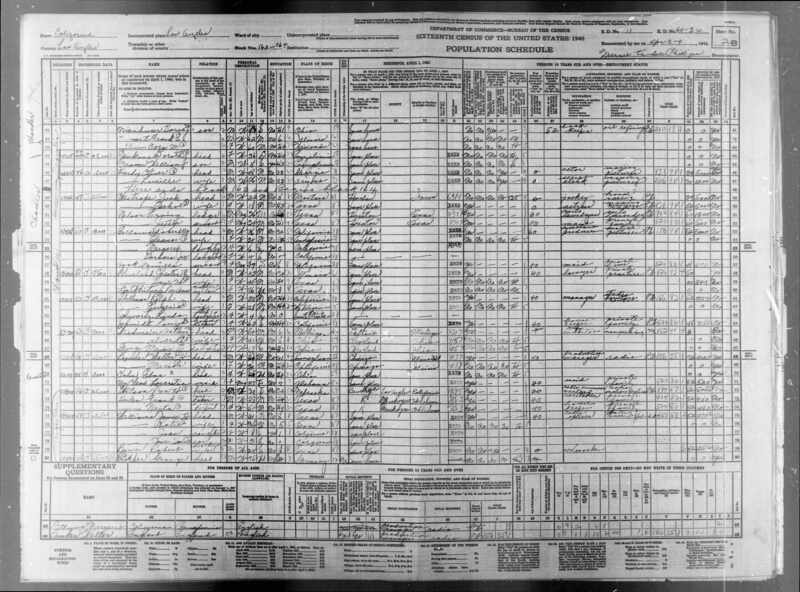 The interesting thing is that this is probably the best census for old time radio fans since the 1950 Census (digitizing due to be completed in 2022 ?) 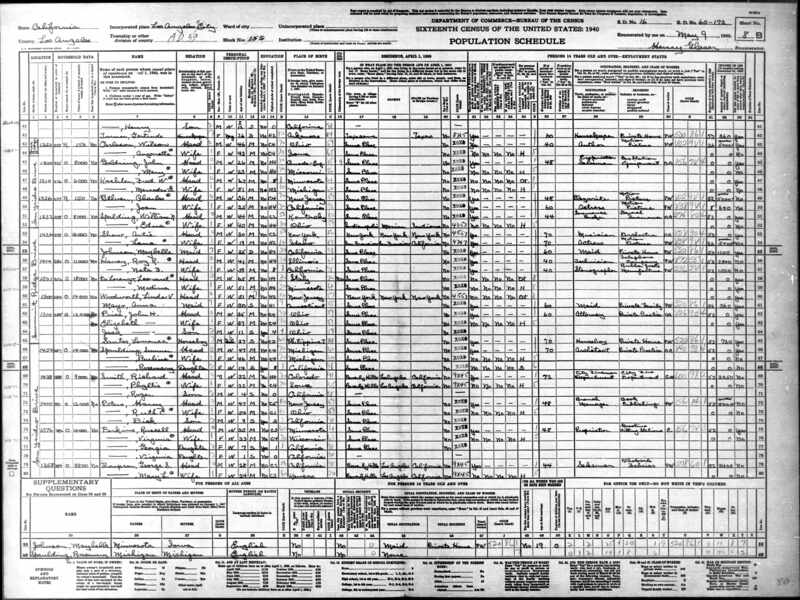 is probably past the peak of old time radio while the 1930 census really predates the "golden age" of radio. 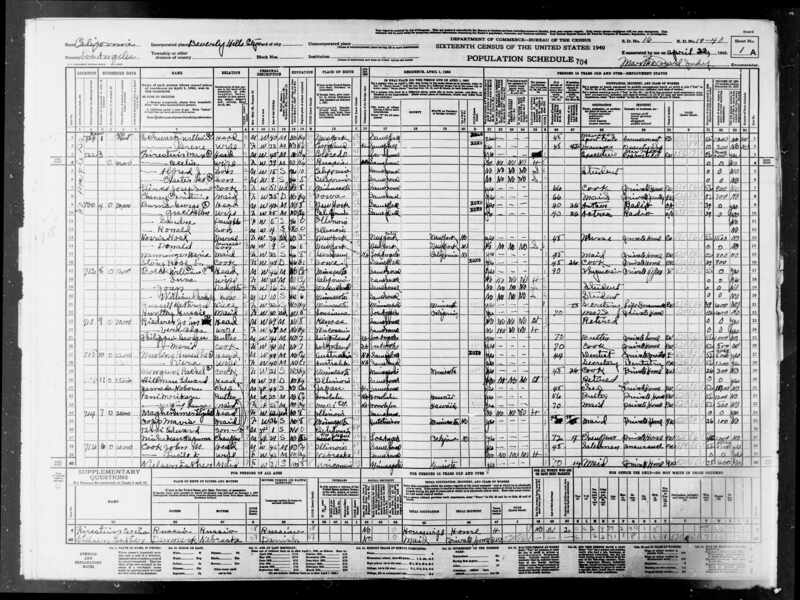 BTW, I usually start searching the 1940 Census here at FamilySearch dot org - it's astonishing how well the search works when you see the hand written forms. 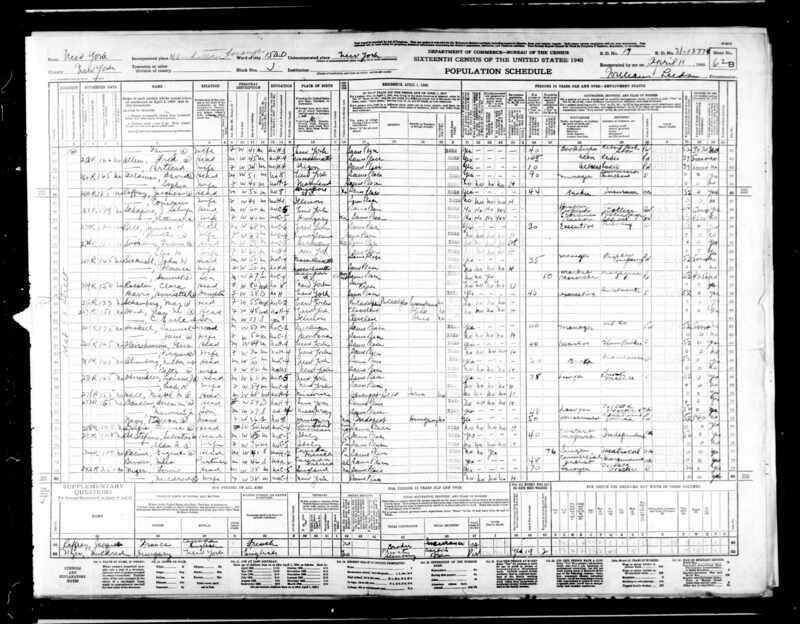 Jack is the 5th name listed, then Mary and their daughter Joan. 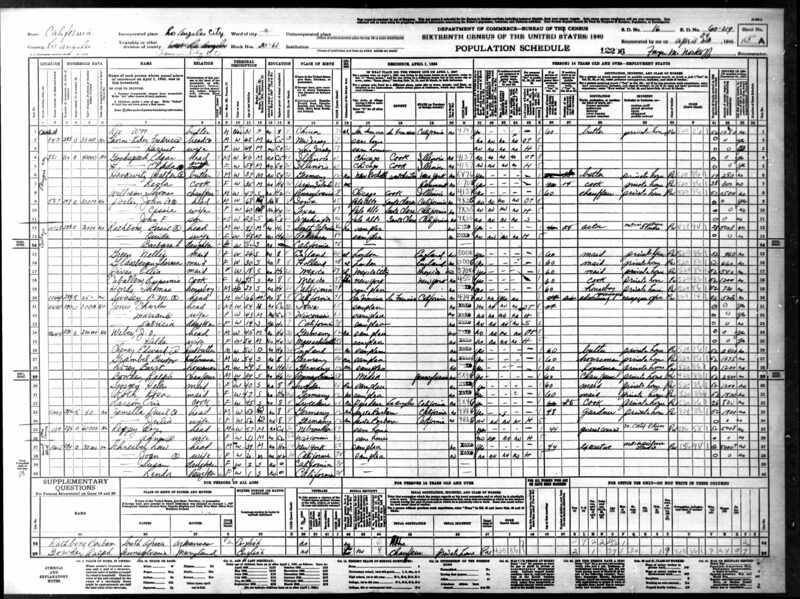 Of course Rochester is not listed but instead Enno and Lillian Dreher are living with the Benny family as servants. Jack lived at 1002 N. Roxbury Drive in Beverly Hills NOT 366 North Camden Drive as mentioned on the show (nowadays 366 North Camden Drive seems to be in the middle of a block of businesses, a shopping district near Rodeo Drive). Ronald Colman didn't live next door but 4 houses away is Eddie Cantor, Ida and 3 daughters as well as a son-in-law and a grandson ! Sometimes it's interesting to punch in the address to Google Street View and see how the places look in recent days, for example Jack's neighborhood doesn't have a Maxwell in view, just a pickup and an SUV :) Google can be a little off so it may require more detective work to be certain that you've got the correct place. Claudette Colbert is mentioned in that 1941 show. She is listed on line 38 near the bottom of the page as Claudette Pressman. Her husband, Joel is listed as a medical doctor. The Pressmans lived at 615 Faring Road in the Bel Air section of Los Angeles. Ronald Colman is listed on line 26 along with his wife, Benita, the butler and his wife. The home was at 1003 Summit Drive in Beverly Hills. There were many movie people in Ronnie's neighborhood, listed on this page are Mary Pickford, Charlie Chaplin and Fred Astaire. Basil Rathbone takes part at the end of that 1941 show. He is listed on line 12 along with his wife, daughter, three maids a cook and a houseboy. The home was at 10728 Bellagio Road, in Bel Air. The Benny show announcer, Don Wilson, is listed on line 72. The home was at 13909 Magnolia Blvd in Sherman Oaks. I wasn't able to find Phil Harris, Eddie Anderson or Dennis Day so far but I did find Fred Allen and Portland on lines 42 & 43. They lived in an apartment on West 58th Street in Manhattan. 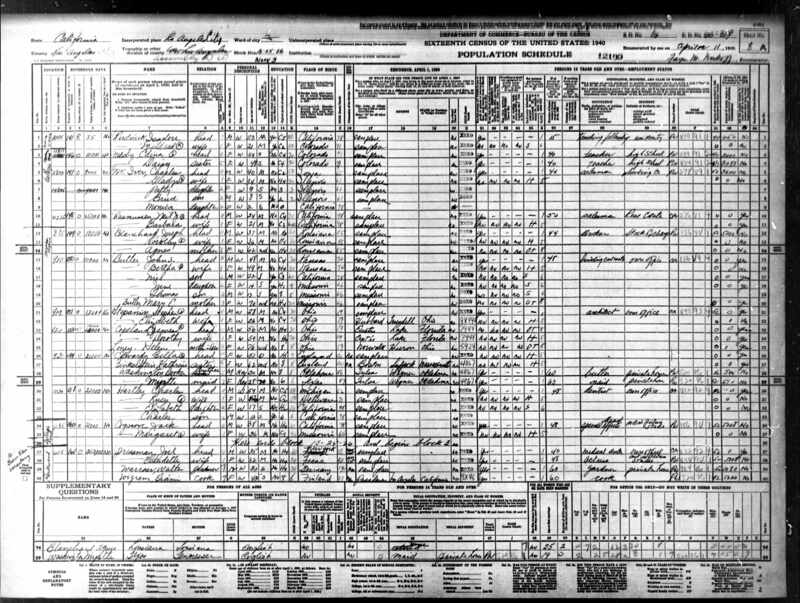 Portland was of course born in Oregon - her father liked to move the family around and named the children for where they were born. Fred always liked people with unusual names. Other persons of note on this page are Louis and Mildred Nizer - the last two names - Mr. Nizer was a famous attorney and author. Speaking of Fred Allen, here is a new-time radio intro clip to the post-war version of the Fred Allen Christmas show with the sketch: Santa Claus goes on Strike. I think this intro was done by John Grams on WTMJ in Milwaukee, Wisconsin during the holiday season of 1974. Recorded off my crystal set on an old Magnavox reel-to-reel recorder - you can hear at about 30 seconds into this clip where I flipped the speed from 1 7/8 to 3 3/4 inches per second :) BTW, the verse of Jingle Bells sung in Polish was from this record by Joe Gumin. Billie the Brownie was probably voiced here by Carol Cotter, a well known radio/tv broadcaster in the Milwaukee and Madison areas. June 22, 2017: Here is the Santa Claus goes on strike clip from the 1948 Fred Allen season. Jack Benny's best friend, George Burns and George's wife, Gracie Allen and their considerable household is listed starting on line 9. 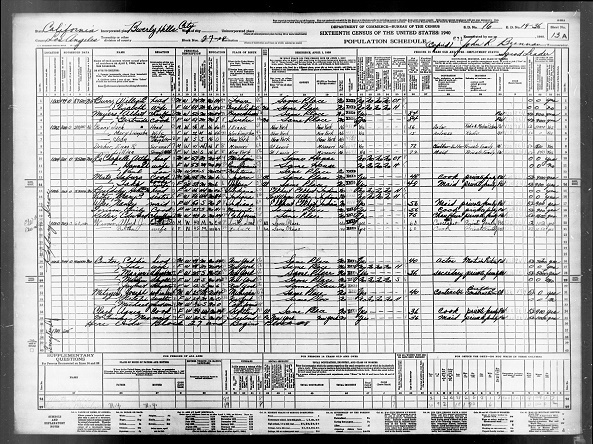 I can't quite read the handwriting but it looks like George's occupation is listed as author - not singer - not actor :) The Burns family lived at 720 N. Maple Dr. Beverly Hills. Frequent guest on the Benny show was Mel Blanc - see line 54. 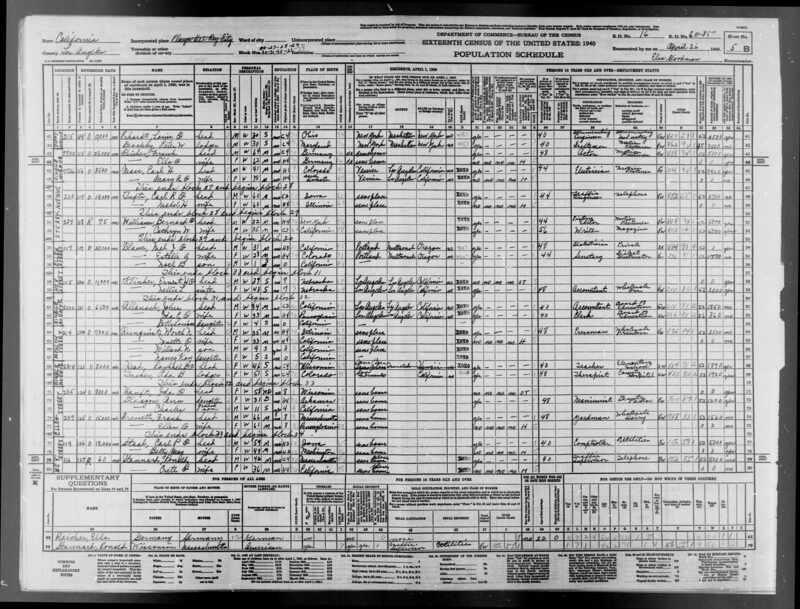 Mel's occupation is listed as Dialectician :) Mel (listed as Mel, not Melvin ;) lived at 117 Ellen St. in Plaza del Ray City. Artie Shaw doesn't have anything to do directly with this page but he is listed here on line 53 along with his wife, Lana Turner and the maid, Maybelle Johnson. Artie lived at 1426 Summit Ridge Drive which was the title of one of his most interesting songs - the harpsichord was a fresh addition to the Grammercy 5 group as mentioned in this Wall Street Journal article - chamber music of jazz indeed ! Artie was married 8 times (as was Lana Turner) - once to Kathleen Winsor the author of the racy book, Forever Amber, that was mentioned on several episodes of the Jack Benny program. Charles Boyer was also mentioned on the Halloween Benny show. Jack did his infamous Boyer imitation to prevent a cop from rousting them from Boyer's front lawn. 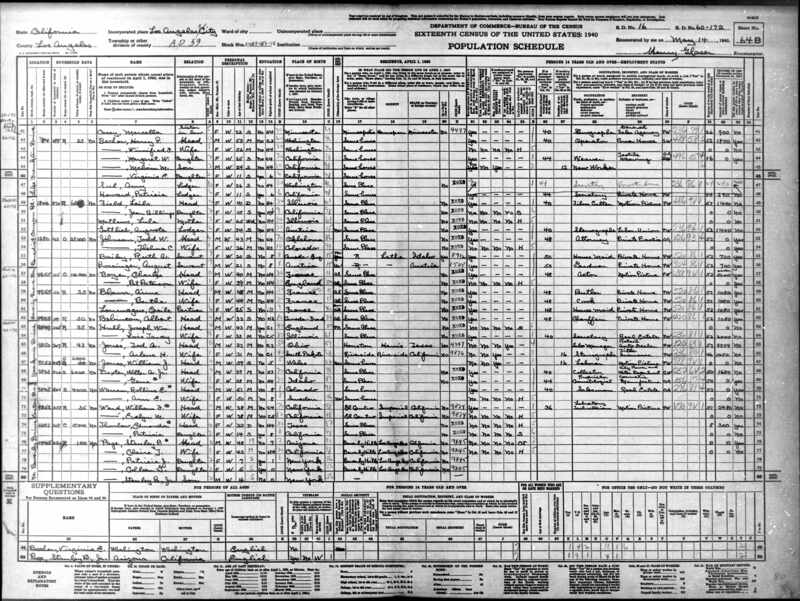 Boyer is listed here on line 57 and his English wife, Pat Paterson is on line 58. The Boyer residence was at 9955 Beverly Grove Dr. in Los Angeles. 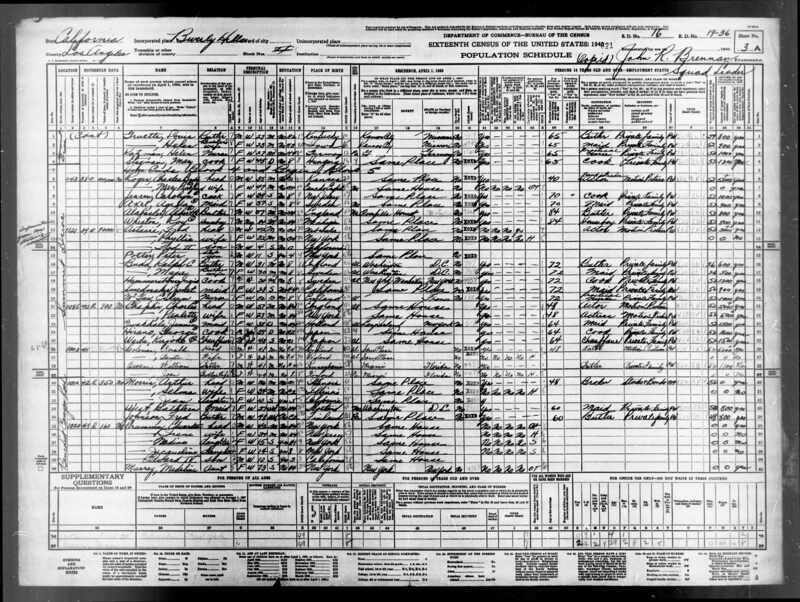 Kenny Baker had left the Benny show by Halloween of 1941 but I thought I'd show his census entry. 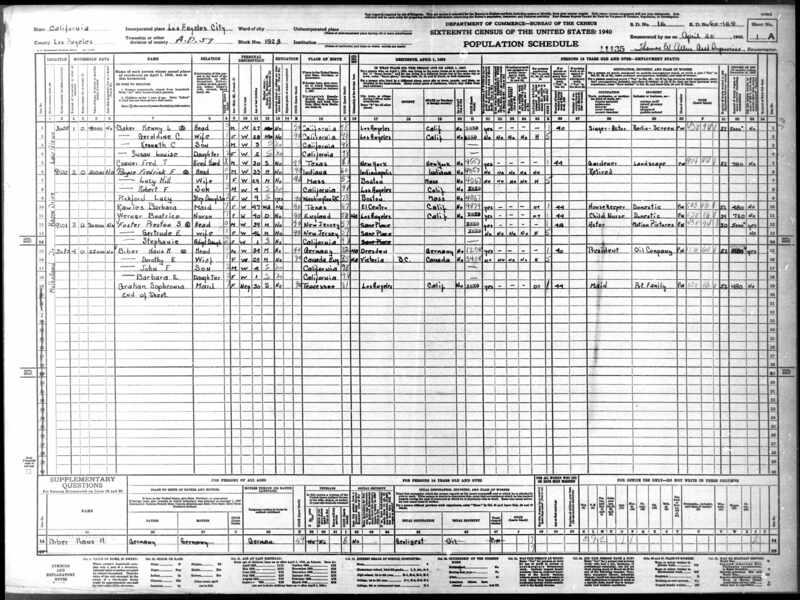 Line 1 shows Kenny, his wife, two kids and the gardener lived at 3055 Lake Glenn Dr. in Beverly Hills. I still can't get over the fact that Kenny left his $150,000 per year job with Jack Benny - this is explained in this very interesting blog entry by Tralfaz but still, $150,000 in 1939 equates to over $2,600,000 in 2017 dollars per the CPI Inflation Calculator.